Last month, I received my third delivery of my Vegan Cuts Beauty Box subscription, and this is my favorite box so far. It featured a nice mix of face wash, eye color, deodorant, toothpaste, lip balm, and soap — essentials for summer traveling. The theme of this box seems to be things you can grab and go for a vacation or weekend getaway, and I packed most of these products for my current trip to Ohio and Kentucky. 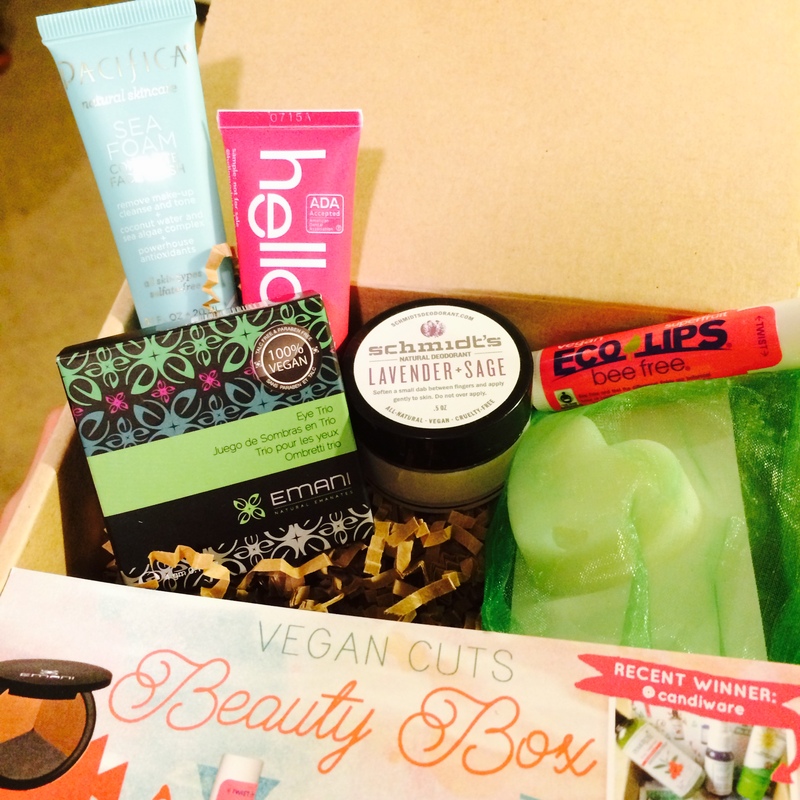 Here are the products that were inside the June 2015 Vegan Cuts Beauty Box. This is not the first Pacifica product that I’ve received in my Vegan Cuts Beauty Box, and I’m glad we keep getting goodies from this wonderful brand! The face wash is free of sulfates, and it has this amazing smell of coconut and sea water that almost transports me to the beach when I open it. I’m definitely getting this one in a full size version ASAP. 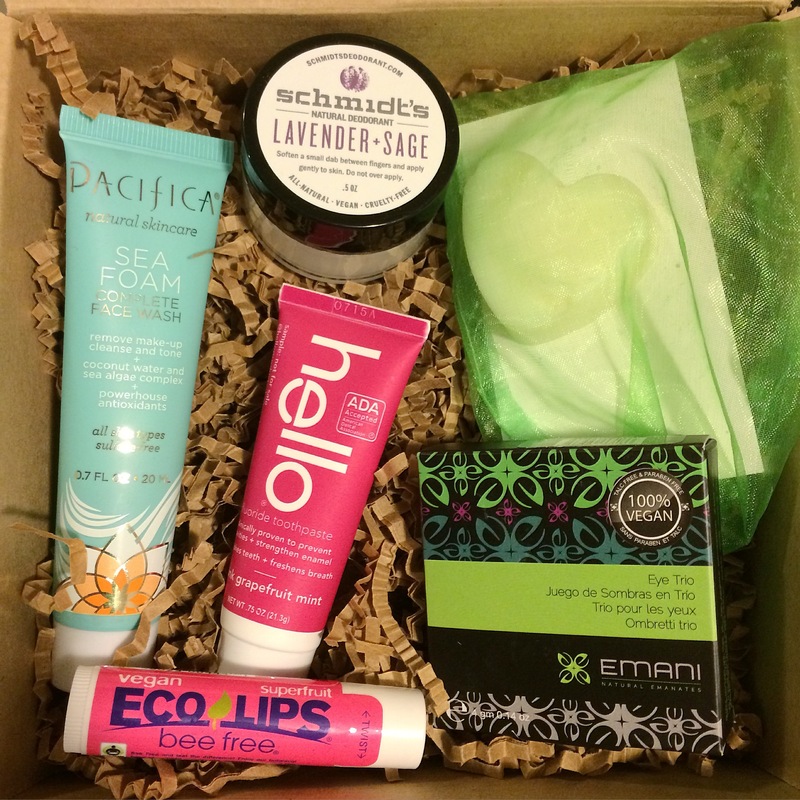 Emani is another cool brand that we’ve seen before in the Vegan Cuts Beauty Box. This Emani Eye Trio contains a black powder, a dark brown powder, and a light brown powder. It’s perfect for creating a smoky eye look or darkening up the eye creases and corners. I even used a very tiny, thin brush to apply the powder as a bottom eye liner! I was shocked the first time I found out that some brands of deodorant actually contain harmful ingredients that could lead to cancer. So, in an effort to reduce as many toxins and cancer-causing products in my life as possible, I have been buying natural deodorant. 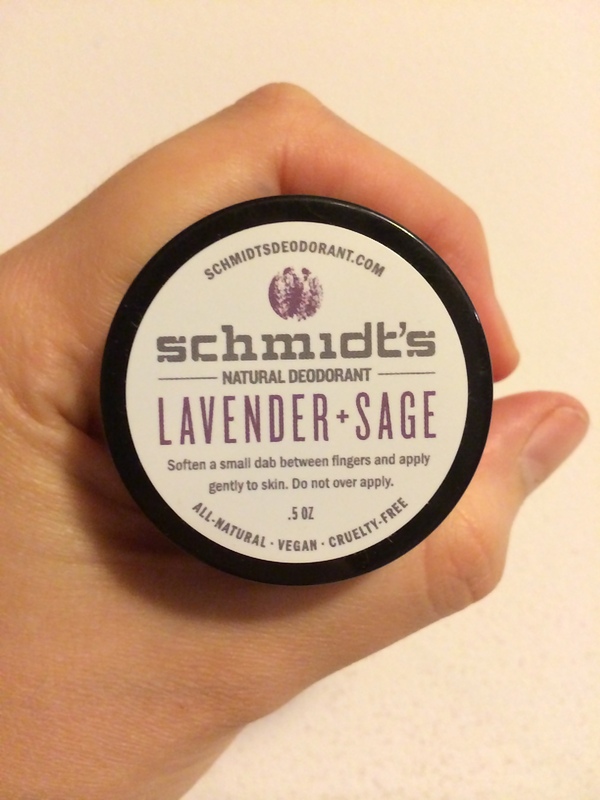 This one from Schmidt’s is like a pit paste, which you apply to your arm pits with your fingers. I wish this product from hello was free of fluoride, considering it has been linked to health problems. My college town, Ithaca, NY, even banned the use of fluoride in the tap water. That’s why I typically buy fluoride-free brands. Aside from the presence of this ingredient, I did like the grapefruit mint taste of this toothpaste. This lip balm from Ecolips is free of beeswax so you can apply knowing it’s totally cruelty-free and kind to bees. I like the Superfruit flavor and the way it feels on my lips, too! 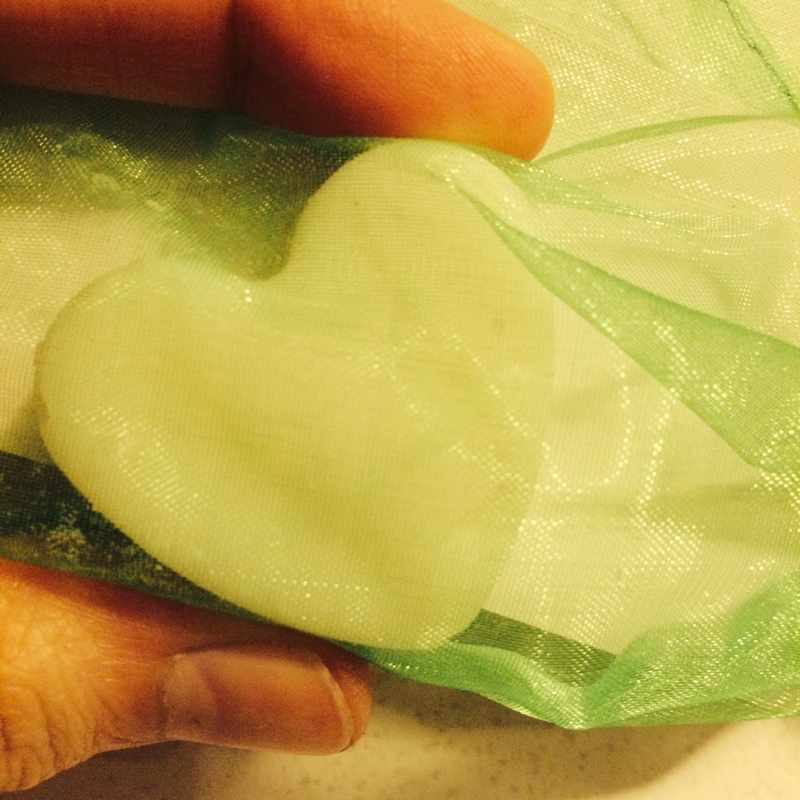 First off, this little heart-shaped soap from Bee All Natural is adorable. It smells good, too! Plus, coconut oil feels great on your skin and won’t cause irritation like some soaps can due to a nasty ingredient called Sodium Laureth Sulfate that I’ve been avoiding for years now. The June box was awesome! I’m happy with all of the products I got, especially the Pacifica Sea Foam Face Wash. If you like what you see here, consider subscribing to the monthly Vegan Cuts Beauty Box or getting a one-time Facial Care Box. Note: I am a Brand Ambassador for Vegan Cuts and receive a small portion of sales that are referred from my site.